Heroes are always there to save lives - be it humans or those beings that bark or meow. 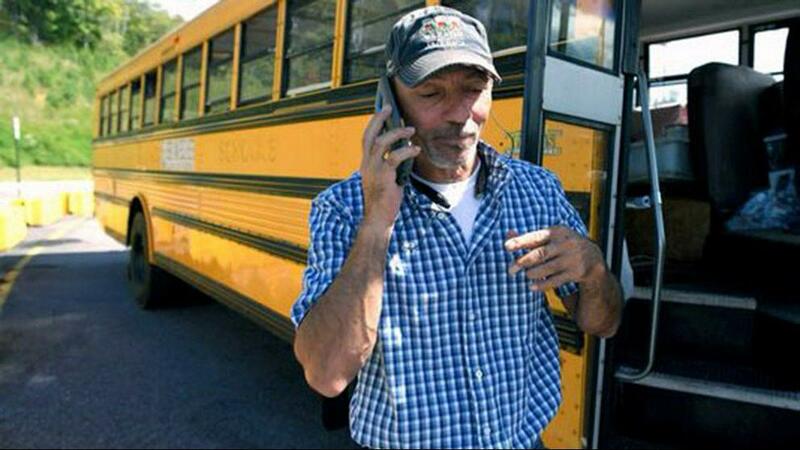 One man proved just that when he drove a school bus to transport 64 dogs and cats away from Florence’s path and into safety. Tony Alsup, a 51-year-old trucker from Greenback, Tennessee brought his public yellow school bus to South Carolina last week to take on vulnerable dogs- not of the cute and cuddly little one's type, but the big and “ugly ones” whom he felt also deserve a second chance, not only at surviving the storm’s wrath but in finding a forever, loving home. Alsup got the dogs and cats from various animal shelters in the path of Hurricane Florence including in four South Carolina towns North Myrtle Beach, Dylan, Georgetown, and Orangeburg. He loaded up all in all 53 dogs and 11 cats on his bus. Alsup next drove the whole gang of dogs and cats to an awaiting shelter in Foley, Alabama. From the shelter in Alabama, the pets will be spread to different shelters throughout the country, to be given out for adoption. Alsup’s planning and quick action proved crucial in securing the lives and safety of the animals. Florence may have been downgraded to a tropical storm after it made landfall on Friday, still strong winds, torrential rain, and flood waters have devastated communities and killed at least 11 people. This isn’t the first “heroic” effort of the animal lover to rescue and help animals in a time of natural disaster as over the past year; he has hauled shelter pets from hurricane zones in Texas and Florida. He has also flown to Puerto Rico to save even more animals in need. Alsup now feels that saving animals in times of disasters is his calling.